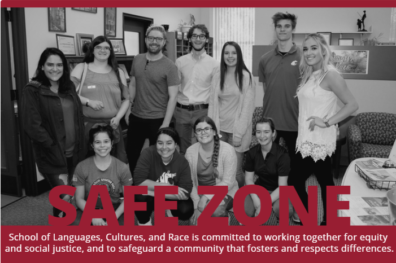 In a time when divisiveness and fear permeate our nation, faculty, students, and staff within the School of Languages, Cultures, and Race (SLCR) remain committed to working together for equity and social justice, and to safeguarding a community that fosters and respects differences. SLCR stands against abuse, bullying, racism, sexism, xenophobia, homophobia, transphobia, and all forms of inequality. We will continue to strive for transformative knowledge, understanding, action, and hope in a world that is both increasingly interconnected and painfully unequal, while fostering a space that is safe for everyone.